Both companies target a similar audience, primarily made up of Mac users. By joining forces, they are able to work together to create new accessories and software for the mid to high end market. Akitio is known for its popular and well-designed Thunderbolt 3 accessories. "This acquisition gives us the opportunity to strengthen our core prosumer lineup and market reach with photography, video and music pros with some really exceptional new offerings," said Larry O'Connor, OWC Founder & CEO. "Our product lines and brands are quite complementary, with Akitio bringing a strong reputation in the Windows space and segments like performance gaming, AR/VR, high- end creative strengths to our base. I see tremendous opportunities ahead for our team and our customers." OWC makes its own storage and Thunderbolt accessories as well as high quality memory and upgrade kits for many Apple machines. "The new combined organization brings unique market strengths, excellent geographic coverage, an outstanding engineering team, and exceptional design and product development capabilities," said Tommy Chen, CEO of Akitio. "OWC has developed an incredible reputation in the market for delivering products that are lightning fast, high-performance and reliable, and our entire team is proud to join OWC and take that reputation even higher." After the acquisition, all Akitio warranties will remain intact. Akitio's team will remain in their California-based office as well as satellite locations around the world and OWC will still operate out of its headquarters in Illinois. OWC made the announcement on Thursday morning, just days ahead of the largest electronics show of the year — CES — where they are set to debut their latest wares. 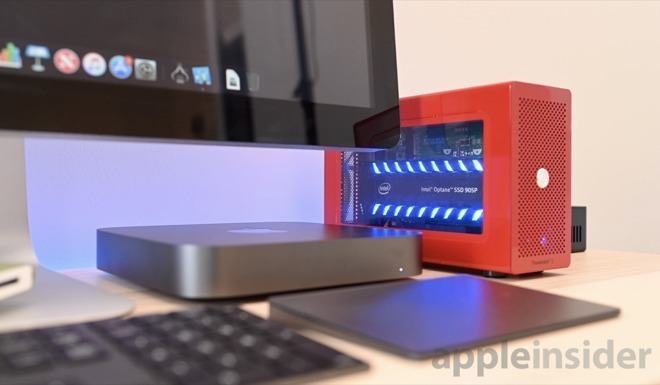 AppleInsider will be hands-on during CES with all of OWC's new products.